In 1957 – the companies that would eventually become Symetra Financial – began as life insurance and investments subsidiaries of a Seattle-based Fortune 500 insurance company. Symetra. What’s in a name? In this case, a lot. Balance. It’s a balance of the company’s needs with those of its shareholders, customers, business partners, employees and neighbors. And it’s a balance of products that has driven the company’s growth and financial stability. Headquartered in Bellevue, Wash., Symetra Financial Corporation is a diversified financial services company with more than $25 billion in assets, approximately 1.8 million customers, and 1,100 employees nationwide. 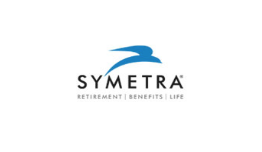 Symetra sells its products through a national network of benefits consultants, financial institutions and independent agents and financial advisors. With its focus on an innovative, balanced product mix – backed by a history of performance and integrity dating back more than 54 years – Symetra is committed to creating value for its customers, distribution partners and shareholders.